Karen Bloom is not the coddling mother type. She believes in raising her children for success. Some in the neighborhood call her assertive, others say she's driven, but in gossiping circles she's known as: the tiger mother. Karen believes that tough discipline is the true art of parenting and that achievement leads to ultimate happiness. She expects her husband and her children to perform at 200 percent--no matter the cost. But in an unending quest for excellence, her seemingly flawless family start to rebel against her. Her husband Noel is a handsome doctor with a proclivity for alcohol and women. Their prodigy daughter, Bronte, is excelling at school, music lessons, dance classes, and yet she longs to run away. Verity, Noel's teenage daughter from his first marriage, is starting to display aggressive behavior. And Karen's son from a previous relationship falls deeper into drug use. When tragedy strikes the Blooms, Karen's carefully constructed facade begins to fall apart--and once the deadly cracks appear, they are impossible to stop. A thrilling tale of ambition and murder, Daly's richly imagined world of suburban striving and motherly love is an absorbing page-turner about the illusions of perfection and the power games between husband and wife, parent and child. Paula Daly is the author of Just What Kind of Mother Are You?, Keep Your Friends Close, and The Mistake I Made. She lives in North West England. 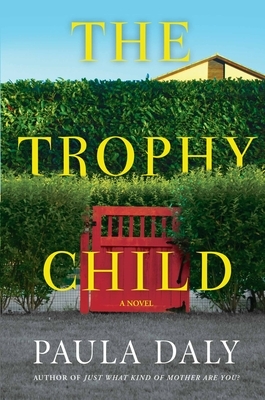 The Trophy Child is her fourth novel.